The Vitality Run Hackney Half-Marathon is returning for it’s second year on Sunday 10th May 2015. It’s a friendly, flat and fast course that runs through the heart of East London. The route will once again pass by some of Hackney’s best kept parks and key landmarks, with live entertainment along the way. The heat was too much for me last year, I struggled in the temperatures of the sweltering June day. I was disappointed with my time, and decided not to re-run this race in 2015 if it was to be in the height of summer again. For 2015, Run Hackney has been scheduled for early-May meaning a (hopefully) milder temperature and more comfortable running conditions. I’ve registered for my place and I’m hoping that the weather will be on my side this time! This year, I found the final 3 miles of the half-marathon mentally tough. 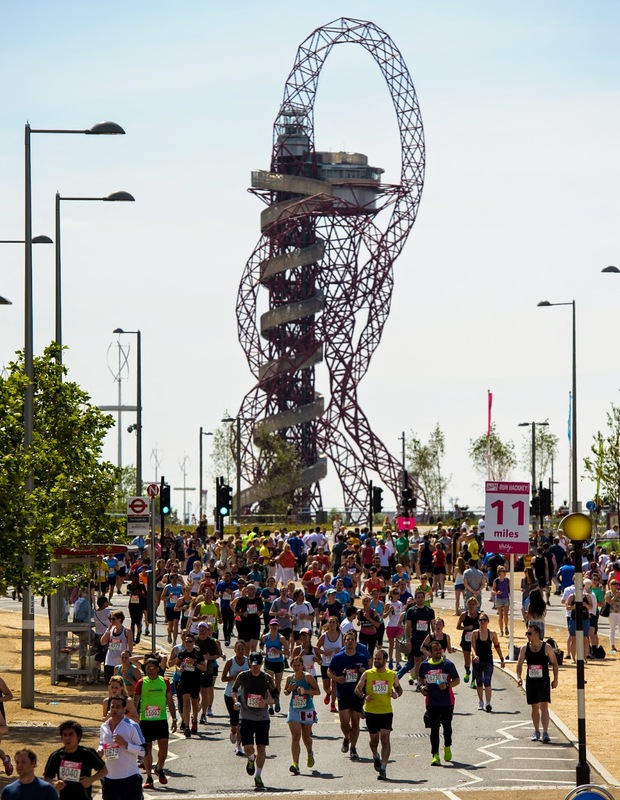 The route through the Olympic park looped back on itself several times, meaning you were alongside runners heading in the opposite direction. The race organisers have obviously paid attention to feedback and I’m pleased to see that the route has been improved for 2015. The section in the Olympic Park has been simplified; it still takes in iconic sights including the Copper Box, Velodrome and Stadium, but without those dreaded out-and-backs! For a limited time, you can save £5 on your entry fee bringing the cost down to £39 (or £37 for affiliated club-runners). Still a pricey race to enter, but having taken part in Run Hackney last year, I can honestly say that the entry fee is worthwhile. The organisation, atmosphere, goody bag and medal were all fantastic, plus in addition to the half-marathon there is a completely free 5km race as a warm-up to the main event. Next year’s race also includes a technical T-shirt and a re-designed medal which I’m looking forward to adding to my collection! 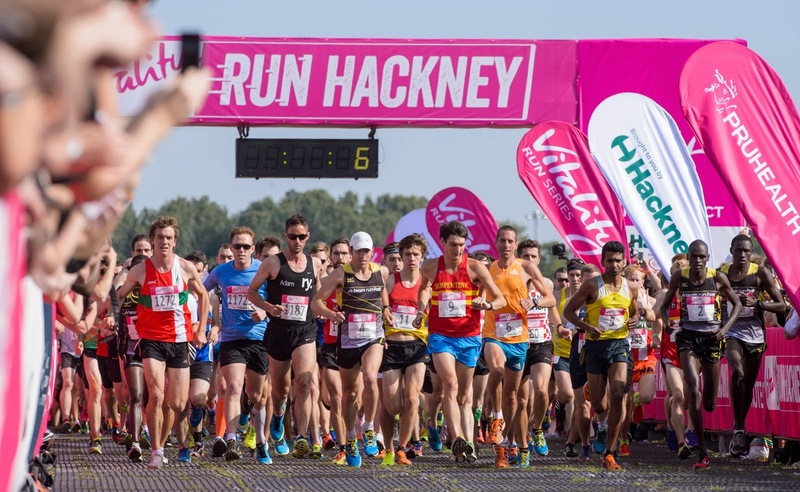 From elite international athletes to first-time runners, Run Hackney is a great race set as a target for next summer. Whether you are looking for a goal to help you get fit, a challenge to raise money for charity, a PB on the course or simply to have fun, this is the perfect half-marathon. There are not a great amount of races in which you can run on the closed streets of the capital, other than the obvious London Marathon and the new-for-2015 London Winter Run. Run Hackney gives a unique opportunity to run through the closed streets of the east end- I enjoyed exploring a London borough which I was not particularly familiar with. The crowd support was unbelievable- the streets were filled with spectators cheering on runners and offering support, water and sweets. Definitely the race race I’ve done in terms of the crowd support! Entries are open now- you can sign up for a reduced price for a limited time here. Will you be running Hackney next May? I’ve been given a complimentary media place in Run Hackney, but all opinions are my own.